Just returned from holiday in the south Dordogne. 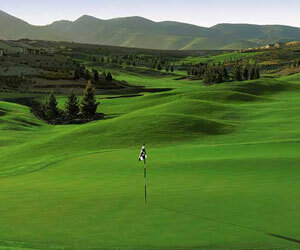 Castlenaud de Gratecambe has a 9 hole par 3 course and an full 18 hole course, together with driving range, clubhouse etc. Buggies are available for hire also. The 18 hole course is very good, particularly the front nine which is juts over 3000 metres off the yellow tees, with 3 good par fives, two long par threes and some testing par fours. The back nine is shorter but course is well designed and offers plenty of variety. It is set on the side of a valley and hence there are many sloping fairways to add to the challenge, there a number of water hazards but it has not been overdone. The fairways are generous and the course was in excellent condition, particularly the greens which were immaculate. My only criticism woul be be that the sand in the bunkers was on the coarse side. Overall a very enjoyable course to play and offers a challenge to the all golfers, but might be too tough for beginners. Green fee was 27 Euro.